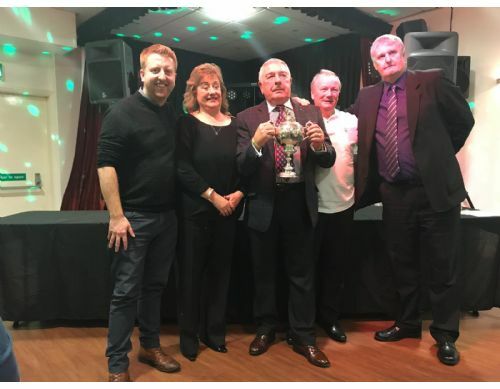 Yvette Gregory, Cheshire County Bowling Association Safeguarding Officer, presents Steve Worrall, Keith Hughes, Trevor Gray and Steve Ridley with the magnificent De-Knoop Cup Trophy. 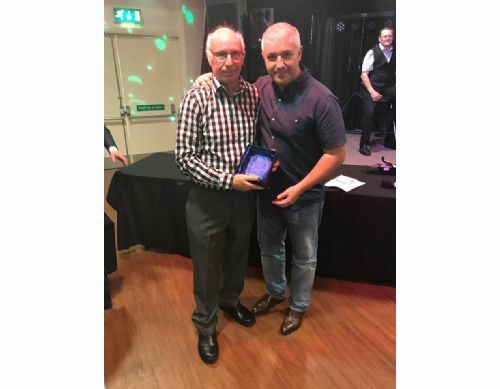 Gary Ellis presents Graham Wells with a special recognition award for appearing in all eight of our clubs CCBA De-Knoop Cup finals. What an achievement, the great eight Graham. Let’s go for nine. 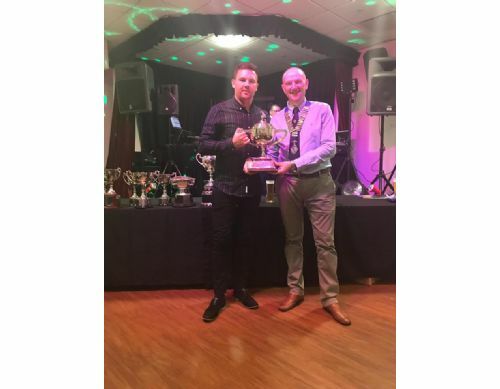 Gary Ellis presents Ben Phillips with the CCBA Award of Merit Trophy. Well played Banjo. 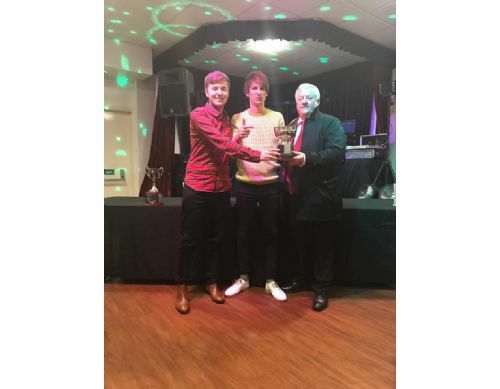 Keith Walden, Secretary of the Altrincham & District LV League, presents Ben Phillips and Craig McGuigan with the Altrincham LV League 1st Division Championship Trophy. Get in! 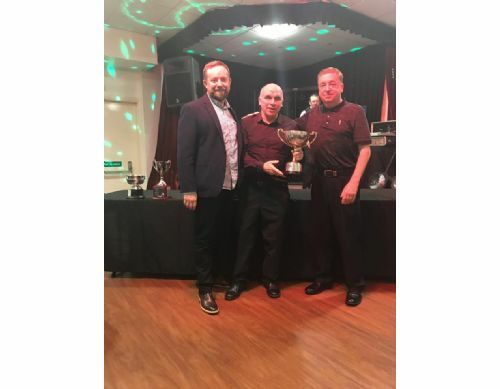 Sam Foster, General Manager at the Lloyds, presents Matt Sands and Jim McGurk with the inaugural Altrincham LV League Divisional 5 Home / 5 Away Derek Ford Trophy. Well played boys. 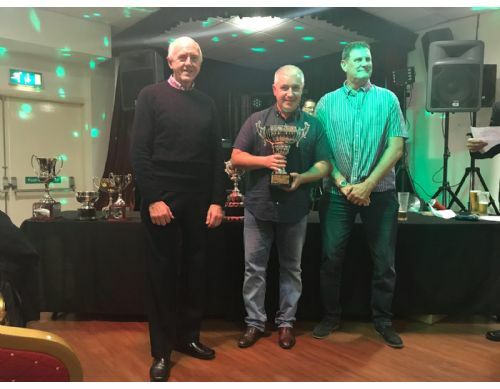 Keith Walden, Secretary of the Altrincham & District LV League, presents Chris Alderson and Mike Geraghty with the Altrincham LV League Pairs Trophy. 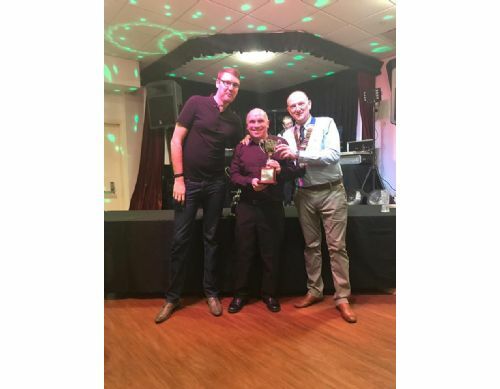 Gary Ellis presents Neil Williams and Pete Smith with the Altrincham & South Manchester League 1st Division Championship. 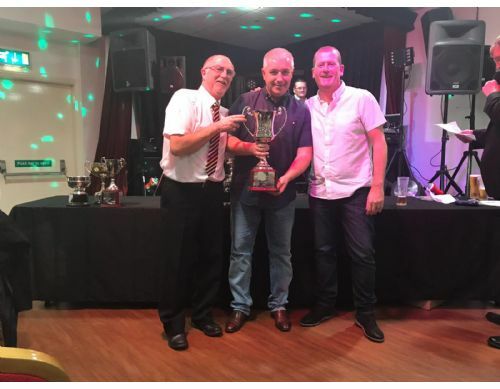 Gary Ellis presents Alan Mooney and Dave Phillips with the Altrincham & South Manchester League A T Nolan Trophy. 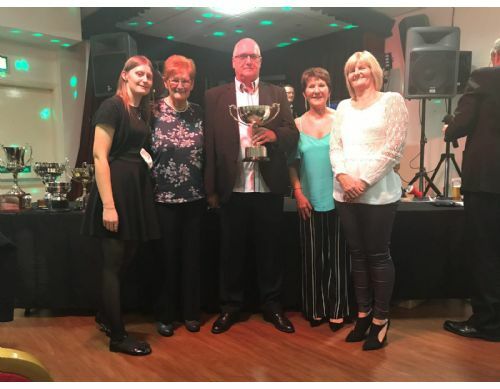 Bob Wheatland, Trafford Evening League Secretary, presents our Girls … Amanda Ridley, Cathy Wall, Charlotte Hough and Carol Howarth with the prestigious TEBL 1st Division Championship Trophy. 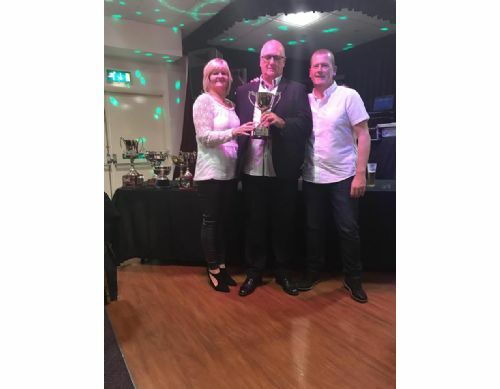 Bob Wheatland, Trafford Evening League Secretary, presents Cathy Wall and Pete Smith with the TEBL Mixed League Pairs Trophy. For the record this was the 5th time Cathy and Pete have won this competition … Phenomenal. 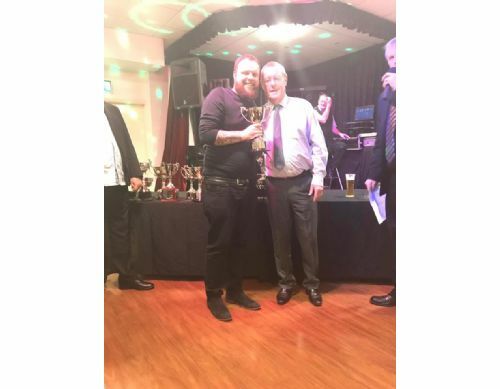 Doug Ashcroft, Trafford Evening Bowling League, Committee Member and major sponsor, presents Gary Minton with the TEBL League Handicap Trophy. 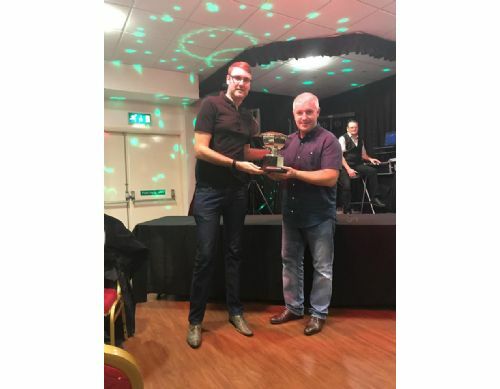 British Parks President, Craig McGuigan presents Ryan Sandham with the Greater Manchester County Parks Senior Merit Trophy.